» CERVICAL SUPPORT - Provides Two Arm Tunnels with a thick layer of padding for your arm to burrow under. One tunnel goes down the front and the other down the middle, so you can easily adjust your sleeping position. » ORTHOPEDIC SUPPORT -Perfect Pillow Configuration for sleeping on either side of your body with your arm under the pillow. Flip the pillow 180ﾰ for different angles. - By aligning your back and neck in the proper position, this pillow will aid in both preventing back and neck pain, and in alleviating it. » ANTI SNORE - By raising your head at just the right degree, our pillow will help you stop snoring and give yourself, and anyone else that is within earshot, a more satisfying sleep. Ergonomic Design is great for relieving neck and back pain caused by uncomfortable arm positioning when sleeping. Stomach and side sleepers, your neck will be aligned for better support. » MEMORY FOAM - Filled with a soft and supportive memory foam, this pillow will mold to your unique contours for the most comfortable sleep you have ever experienced. Improves Circulation to prevent the sometimes painful sensation when your arm falls asleep. » VELOUR COVER - Our Better Sleep Pillow comes encased in a soft velour cover, which protects your pillow from dirt and stains. A terry cloth cover is also available, sold separately. Better Sleep Pillow means a better night of rest which leads to an improvement in all areas of health and all-day energy. We Believe in Better TomorrowsGreat mornings start with a good night’s rest. Quality and quantity of sleep affects your health and well-being.Imagine waking up pain-free because you no longer toss and turn at night.Irregular or inadequate sleep can have negative effects on your mental health, quality of life, physical health, and safety.A child or teenager’s growth and development are determined by the quality and quantity of sleep. Sleep promotes creativity, attentiveness and decision-making capability. Why do We Call it the Better Sleep Pillow?We believe satisfying sleep is a fundamental right everyone is entitled to. You should be able to wake up each day feeling rejuvenated both physically and mentally. This was our mission and the firmly-held belief behind the development of the Better Sleep Pillow (BSP), our best-selling product on Amazon! So how does the BSP earn such a title?Sleep you get with the BSP is deep and satisfying. 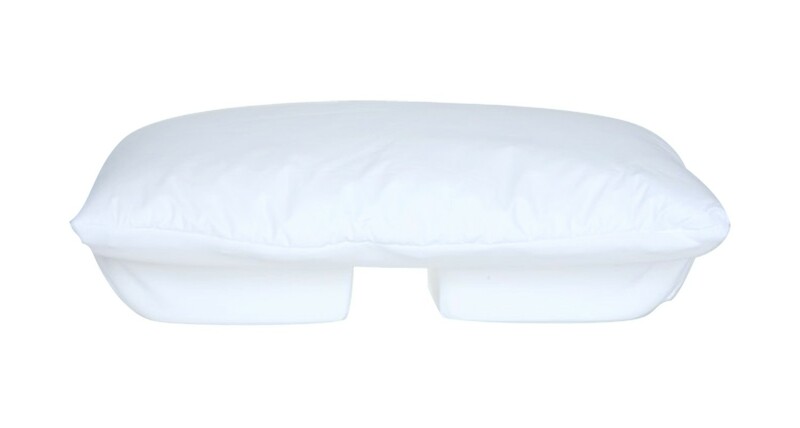 Anyone suffering from muscle pains or poor circulation can benefit from a night’s sleep with this pillow. Guaranteed.What is the Better Sleep Pillow? Ergonomically designed, the Better Sleep pillow minimizes stress on your back, neck, and shoulders - helping to prevent that biting pins and needles sensation. Since the beginning of man, finding a comfortable place to lay your arm while sleeping on your side or stomach has been a struggle. Not anymore. 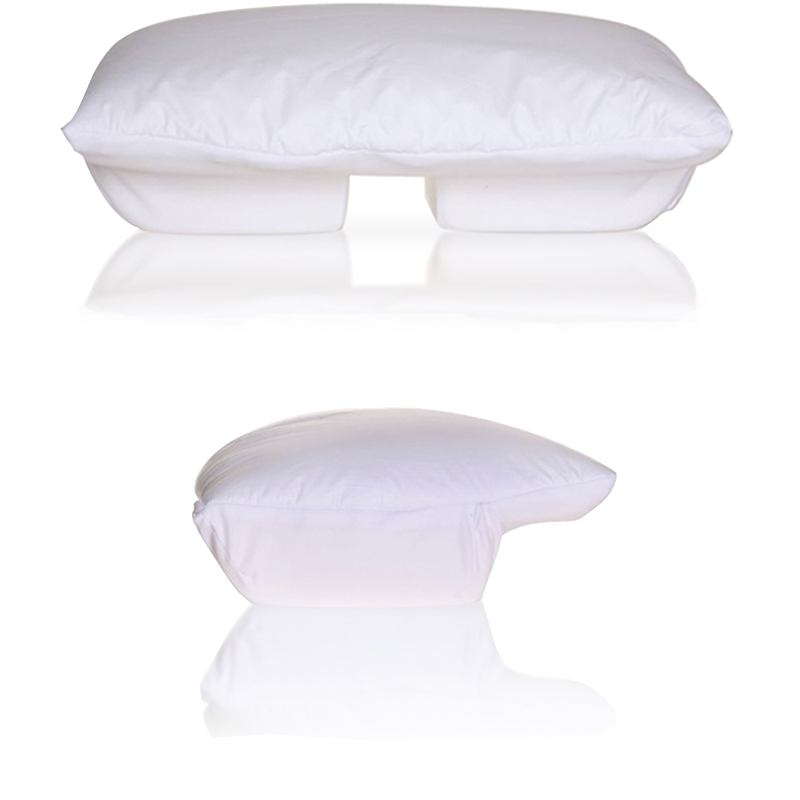 We created and patented an “Arms Tunnels system” on the Better Sleep Pillow. The system consists of two tunnels, one down the middle and one across the front - giving you multiple options where to place your arms comfortably, which solves that age-old problem. Using the BSP, you will find what we like to call your “Sleep Nook,” the place you reach where you are optimally comfortable and are able to sleep all through the night.The two tunnels allow you to position your arm and shoulder in multiple ways. Flip the Better Sleep Pillow 180° to allow for even more comfortable positions. This leads to a more restful sleep promoting improvement in all areas of your health from cardiovascular to psychological. Why this pillow works - The Better Sleep Pillow is the perfect pillow for every type of sleeper. 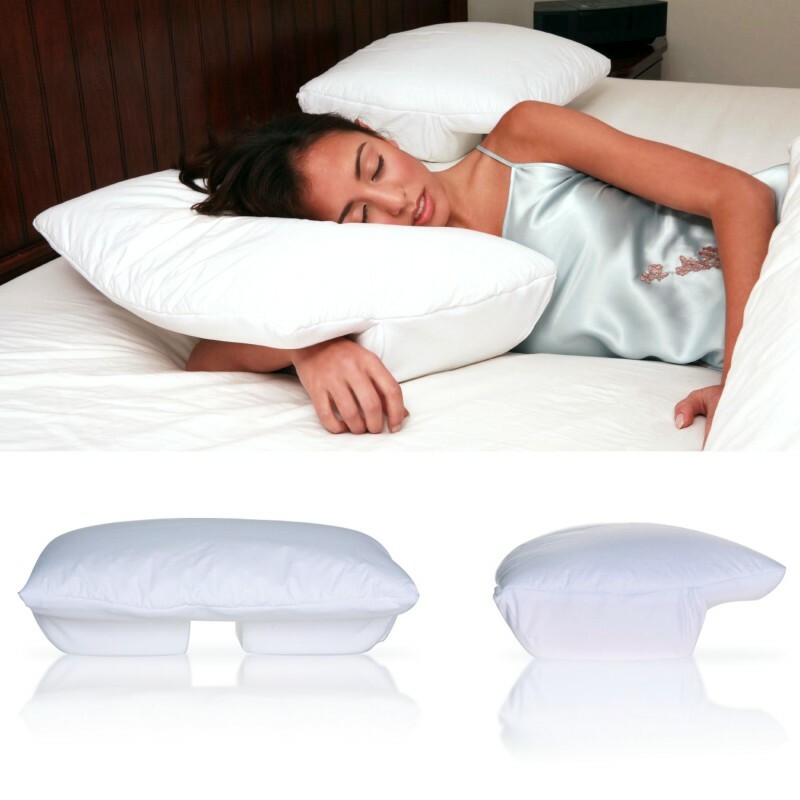 A multi-position multi-function pillow allows to sleep in the position that is most comfortable. The Better Sleep Pillow is uniquely designed with a lateral recess along the entire length of the pillow and a center tunnel for alternative arm positions. 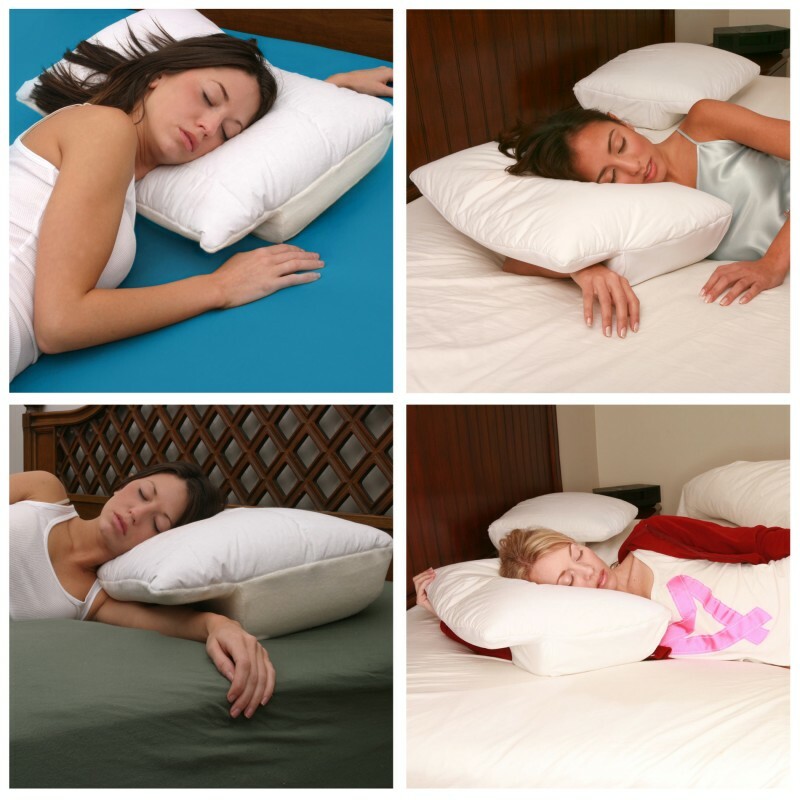 Better Sleep Pillow provides support for your arm, head and neck, reducing shoulder discomfort, numbness and tingling. 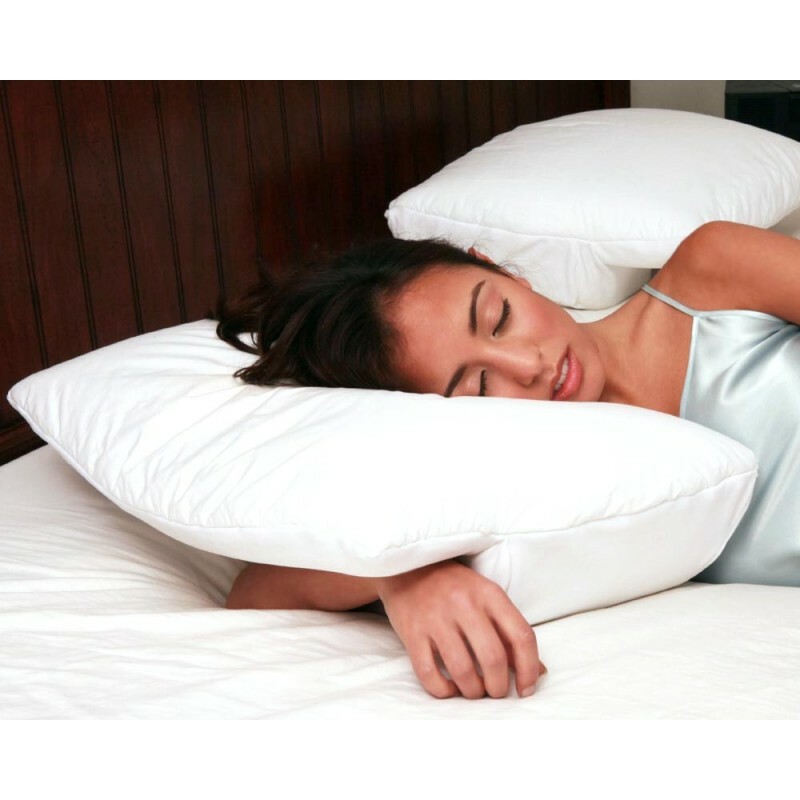 This pillow aligns your neck and spine properly, keeping your airways open, reducing snoring. Proper spinal alignment prevents morning stiffness. 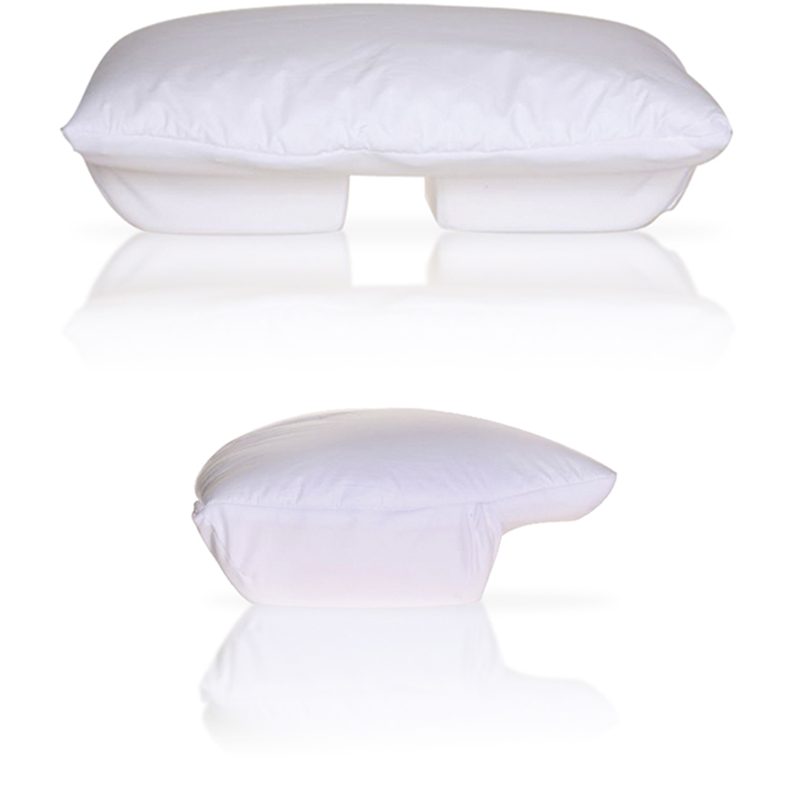 Developed with your comfort in mind, Better Sleep Pillow has a very soft velour zippered machine washable cover. The Better Sleep Pillow is the only multi-positional pillow available today designed to accommodate easily all sleep styles: allowing you to sleep in a position that is most comfortable for your body. So, it adjusts perfectly for back sleepers, side sleepers or stomach sleepers. The recess of the Better Sleep Pillow provides support to your arm, head and neck, reducing pain caused by frozen shoulder or rotator cuff injuries. Also, the Better Sleep Pillow helps in eliminating numbness and tingling, or arm sleep that can happen during bedtime. Besides, this memory foam pillow has been designed to have a unique shape which distributes forces away from the shoulders and arm. The Better Sleep Pillow allows your arm to rest without the strain that comes from supporting the weight of your head. Pain-Free Positioning for a Happy Sleep Do you toss and turn every night just trying to find a position that is comfortable to sleep in? Perhaps you wake up each morning in pain, your neck super stiff and your back absolutely aching? Is your loud snoring preventing you from getting a restful sleep, and also preventing all those around you? If you suffer from any of these issues, it is most definitely time to start thinking about getting yourself a new pillow. 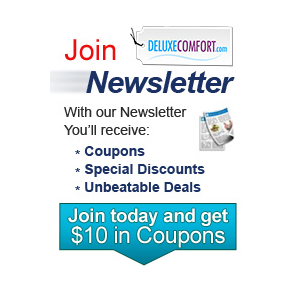 Deluxe Comfort offers you the best in comfortable and pain-free sleep with our Better Sleep Pillow. Constructed from the most comfortable memory foam, these pillows will mold to the unique shape of your body. This enables you to feel like you're sleeping on a pillow that's been made just for you, and leads to the most comfortable sleep ever. 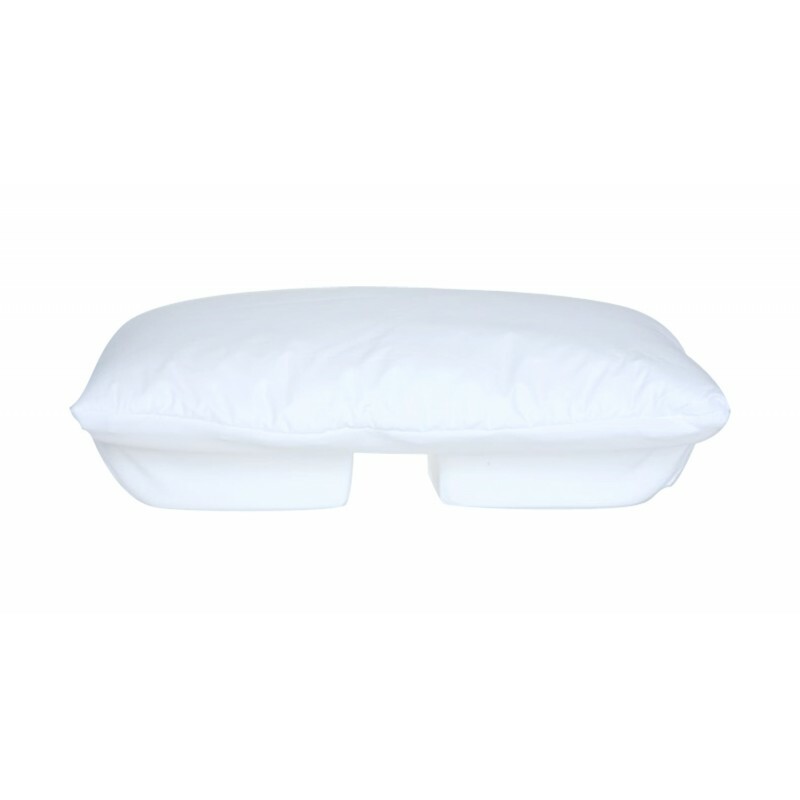 The included velour cover lends an even softer feel to this already soothing pillow. A terry cloth cover is also available, but must be purchased separately. 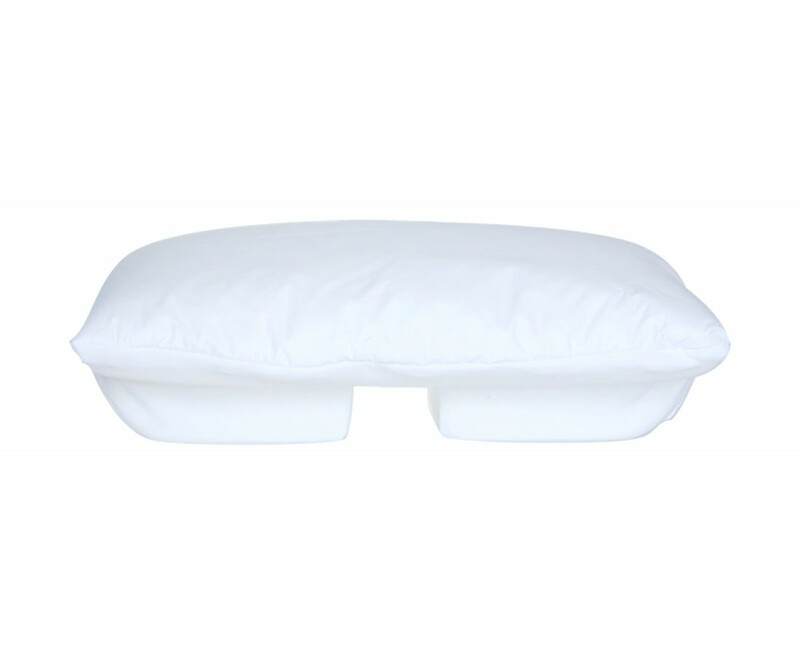 The ergonomic design of this pillow helps to both prevent and alleviate pain. This includes pain in your neck, back, and even in your shoulders. The two included arm holes, one across the front and one cutting through the middle, enable you to lie in almost any position comfortably. Although it works great in while laying on your back or your stomach, it is an absolute must for side sleepers and those that like to sleep with their arm positioned underneath their pillow. It also enables you to snuggle into someone much more closely. Purchase your BETTER SLEEP Pillow today, and don't ache through another night!! CERVICAL SUPPORT - These pillows offer ideal support for your neck leading to an increase in restful sleep, and a decrease in aches and pains. ORTHOPEDIC SUPPORT - By aligning your back and neck in the proper position, this pillow will aid in both preventing back and neck pain, and in alleviating it. ANTI SNORE - By raising your head at just the right degree, our pillow will help you stop snoring and give yourself, and anyone else that is within earshot, a more satisfying sleep. MEMORY FOAM - Filled with a soft and supportive memory foam, this pillow will mold to your unique contours for the most comfortable sleep you have ever experienced. VELOUR COVER - Our Better Sleep Pillow comes encased in a soft velour cover, which protects your pillow from dirt and stains. A terry cloth cover is also available, sold separately. Pillow arrived yesterday. Today, for the first time in nearly a year, I woke up without shoulder pain. I'm a side sleeper and sleep with my arm under my head. It has strained my rotator cuff, and my arms fall asleep under my head during the night. Have tried tempurpedic, you name it. This actually worked. The ridge shape supported my head without putting pressure on my shoulder, and the arm channel kept my arm from falling asleep. I just wish the pillow was bigger. Also the cover was not white - more yellow. That said, I put a regular pillow case over it and it was actually fine. Outside of surgery, I dont think there is anything that will truly keep me from waking up with pain in the morning, but this pillow has made a BID difference for me! I've gone from a huge amount of pain to being able to tolerate the way I feel. It might not sound like a great review but it really is! I didn't think anything could help, and this pillow really has! It's worth every penny! Before I bought this pillow, I would wake up a couple times a week with migraines and neck pain. My neck would actually pop almost every time I switched sides. I knew some, if not all of this could be attributed to my current pillow, so I was desperate to try something new and designed for side/stomach sleepers. I took a chance buying this pillow. At first use, this pillow seems awkward and pretty hard. it places your head at an angle that you may not be used to, so there definitely is an adjustment period. However, after the first night of use, I woke up with no neck pain and as an added bonus, no stiffness in my arms or shoulders either! I have not woken up with pain or stiffness ever since using this pillow. I also expect that as it breaks in a little, it will just keep getting better and better. It's also nice that it has a removable and washable cover.